Shadowhunters has finally returned for their third season, picking up just a couple of days after Clary killed Valentine. Despite some lingering demons, things seem to be heading in a positive direction. 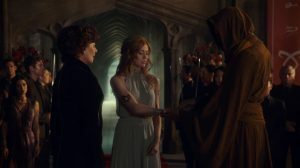 We jump into Clary’s induction ceremony as a full-fledged Shadowhunter at Idris. She has proven herself capable of the title after killing Valentine and meeting with Raziel. She handles the ceremony gracefully, despite still showing signs of the battle wearing her down. Everyone else is in a similar state, with Jace baring the brunt of it. Whatever Jonathan is up to in the underworld is wracking Jace’s nights with violent nightmares that are affecting his waking hours. He hasn’t been entirely truthful to anyone how he’s recovering from the showdown with Valentine. In fact, only Clary knows he was brought back to life by Raziel. One of the biggest cliffhangers we were left with last season was Luke’s new partner, Ollie, confronting him about werewolves. At first, he keeps steadfast in his message that there is no such thing as werewolves. However, a violent murder and a subsequent attack against Ollie changes his tone. Luke comes clean as Ollie recovers; the supernatural world is real, and she’s been right all along. Keeping secrets from friends and loved ones rarely ends well and serve to just frustrate the plot further. While Jace is doing his best to hide his trauma, we have some characters opening up to their partners. Magnus, for example, is dealing with his disappointment in losing his role as the High Warlock of Brooklyn by hiding it from Alec. When he finally opens up and is honest, the two begin to open up again. Each want to prevent the other from being hurt, but letting yourself be vulnerable is apart of dating. Alec and Magnus are not known for being open books, but that seems to be changing. I don’t mind conflict within a relationship, but without growth, there is little enjoyment in the fights. Then we have Simon, who has put up little resistance with the Seelie Queen. She’s quiet regarding her plans for him, enjoying his company instead. He secretly goes to her realm and sings for her subjects, but is unaware of what she wants to do with him and she says little to ease his mind. Perhaps it’s because she can’t lie, and doesn’t want to worry him further. Unable to hide his anxiety upon his return, Maia confronts him about his disappearance, and he quickly comes clean. I’m glad they didn’t draw that out and at least someone cares for Simon. 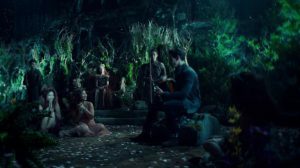 Maia isn’t mad and understands his sacrifice; it’s not like the Seelie Queen is easy to negotiate with. For all her talk about supporting Downworlders, Clary seems strangely absent from their lives. She briefly talks to Luke regarding her chosen signature weapons, but her focus now is on being a Shadowhunter. I hope as we go on she reconnects with some of her old friends and isn’t just solely focused on Jace. This episode was more of a rapid update on everyone’s life and re-establishing connections. It was a little all over the place, primarily as they briefly focused on a murderous demon where half of the story leading up to its introduction didn’t make much sense. 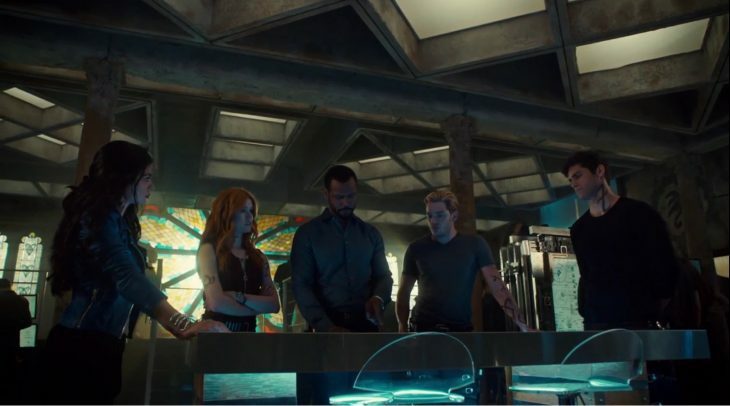 It came together in the end as Clary’s first solo mission battle, showing us there is more than Jonathon to worry about. The SciFi Pubcast – Episode 17 – Rebels! Star Wars Animation and What Comes Next?